Without exception, they are meaningless, no-win wars which do little more than misdirect web traffic to meaningless articles and often spurious arguments in favour of one or other protagonist (and yes...I'm well aware that my headline is guilty of just that!). They also draw attention away from the real issue of helping to improve the way that work can be done. The latest war that I'm aware of (based primarily on my Twitter feed) is the Scrum vs Kanban feud. I don't want to go into details of either of these concepts in this (or any future) post. Needless to say, I am very familiar with both 'tools' and have a good understanding of their relative strengths and weaknesses. More importantly I fail to see why they need to be mutually exclusive - why I have to have one or the other. In fact, the same goes for just about every pairing in the list above. As an advocate of process management, I want access to the best set of ideas and concepts available and to be able to use my judgement to string together a set of modules that is best suited to solving the problem at hand, in the specific environment that I'm working in, and relative to the business needs of my client. If I go out promoting a single service, method or tool, to the exclusion of others, I am doing everybody a massive disservice. I see part of my role as an integrator, continuously integrating new and existing techniques and ideas into my personal process management toolkit, so that my clients can focus on the things that are important to them. 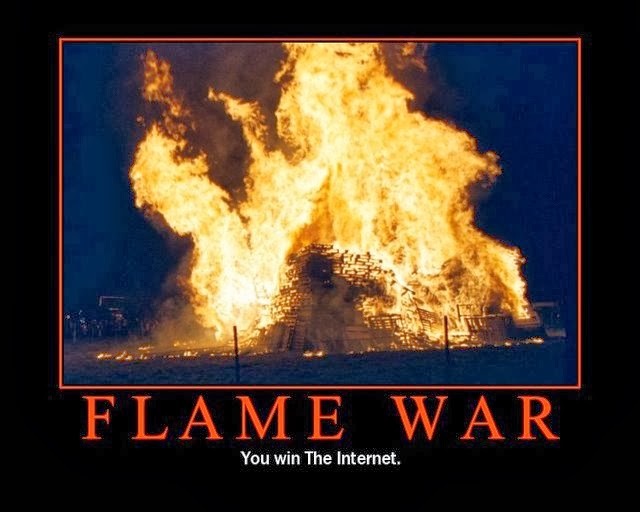 Flame wars have no place in the professional world. They should be left to the people who have found their voices on the anonymous world of the internet, but who haven't yet learnt that just because you can say something, it doesn't mean that you should!